As much as I enjoy company on walks, sometimes you just have to get out and walk on your own. This weekend was a particularly good one. 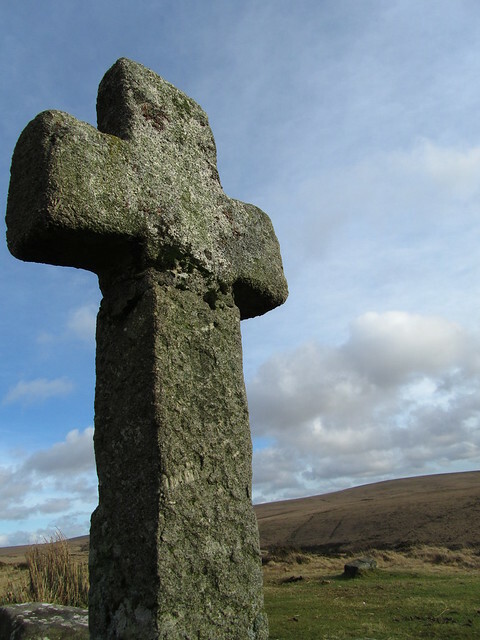 I hadn't been on the moors since last September, and I was missing it. As soon as I headed off from Princetown, and the mist started to lift, I could see this was going to be a good day. I had no specific route in mind, I was just going to navigate from point to point, see what took my fancy and make it up as I went along. 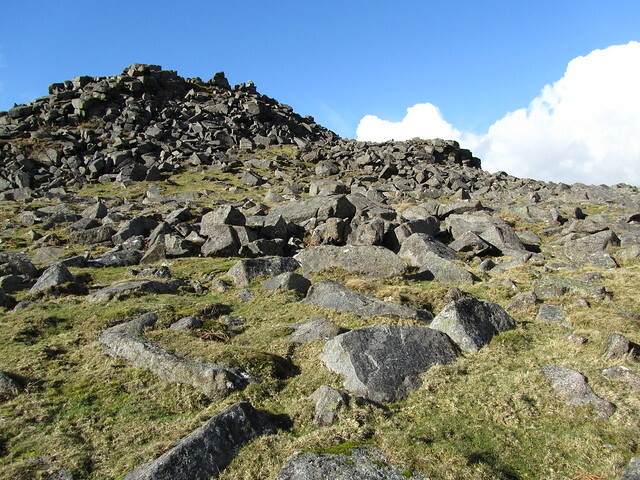 I would look at the map and find something of interest to me; a stone row, a cyst, a cairn, a boundary, a tor I hadn't visited - and just had some fun exploring. 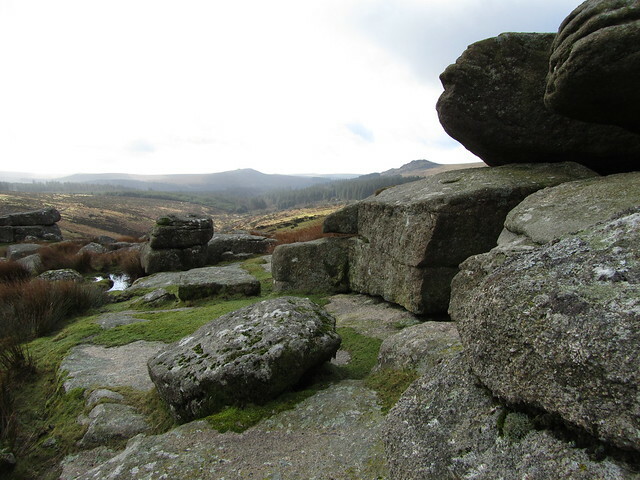 So the day was spent using as many navigation skills as I could; handrailing, aiming off, timing, practicing walking on a bearing, plus a little bit of scrambling up Leather Tor and Sharpitor. 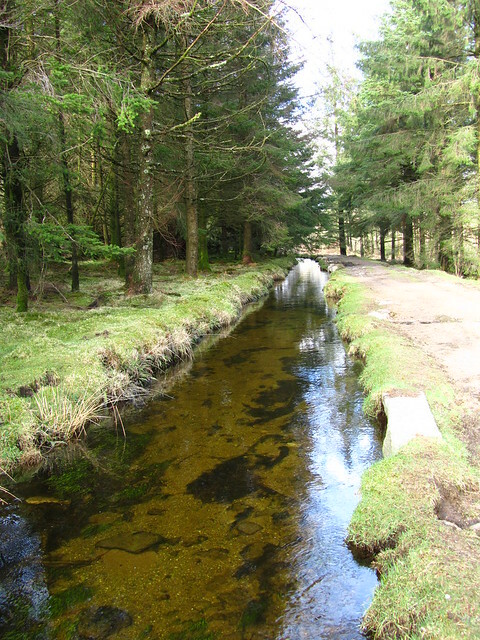 First up, I followed the old railway track out from Princetown, to the point where you can see a faint boundary work heading south-west across Walkhampton Common to Sharpitor (Burrator) I followed this part of the way, veering off to the B3212 where a small watercourse feeds into the River Meavy. 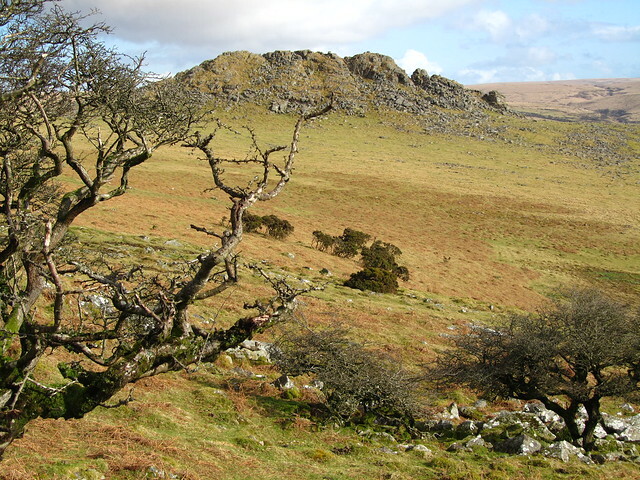 I crossed the road and made my way across the common, above the Meavy, before making my way up to Black Tor (Walkhampton). 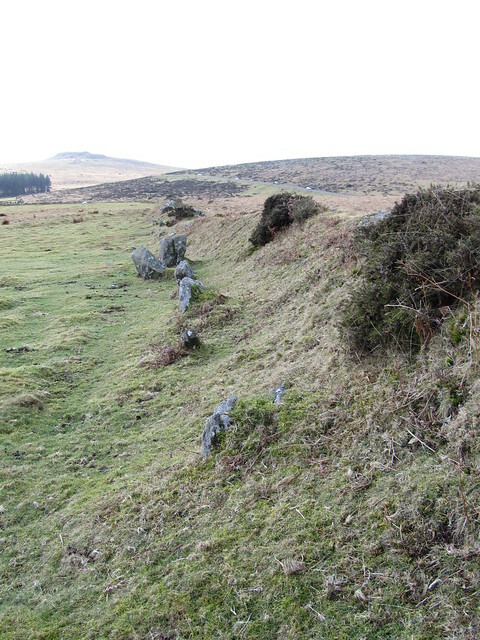 I noticed, on my map, reference to a stone row running south-west, within an enclosure and close to the wall. Should be easy to locate, I thought, and I did find part of it. Further south-west, passing the edge of forestry known as Stanlake Plantation, I came across the Boundary Work I had followed earlier. 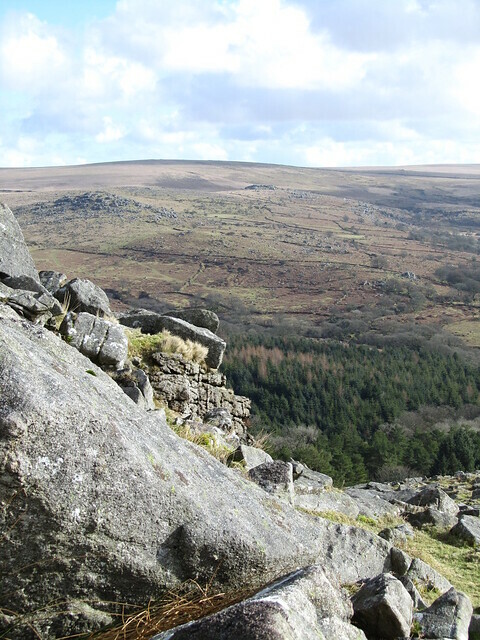 I climbed up to Sharpitor (Burrator), a bit of a scramble in parts. Atop and there are wonderful views! 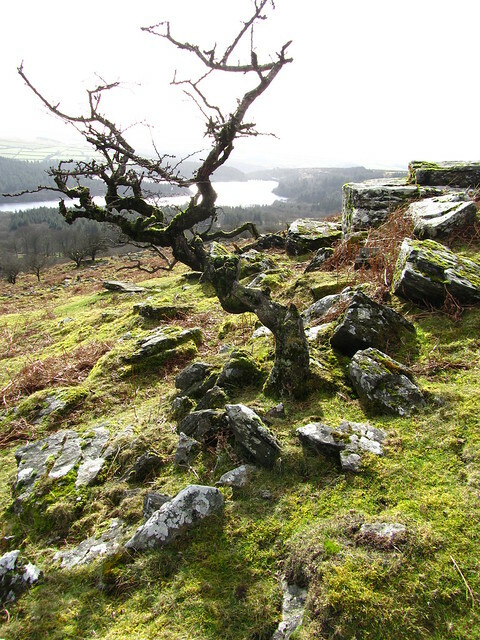 I strolled over Peek Hill and dropped down to some granite overlooking Burrator Reservoir. 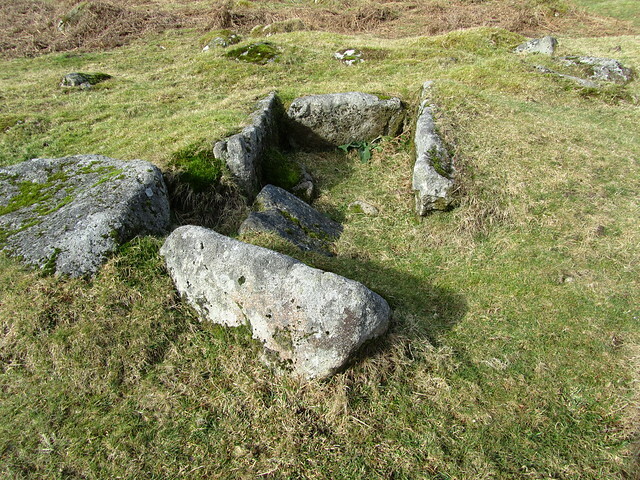 This was Lowery Tor. 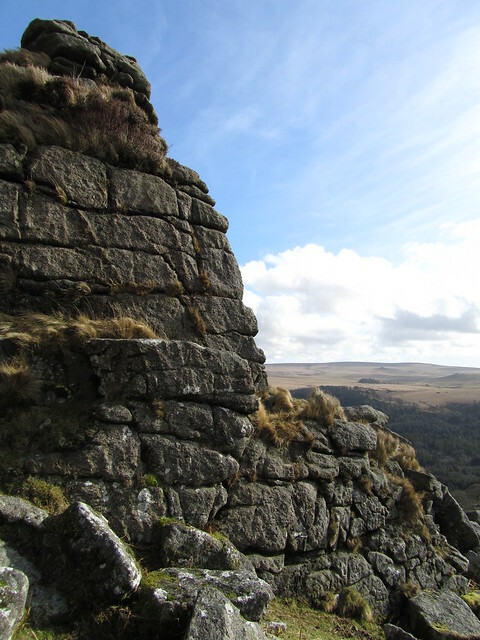 The view from Lowery Tor, of Leather Tor, enticed me to head there next. 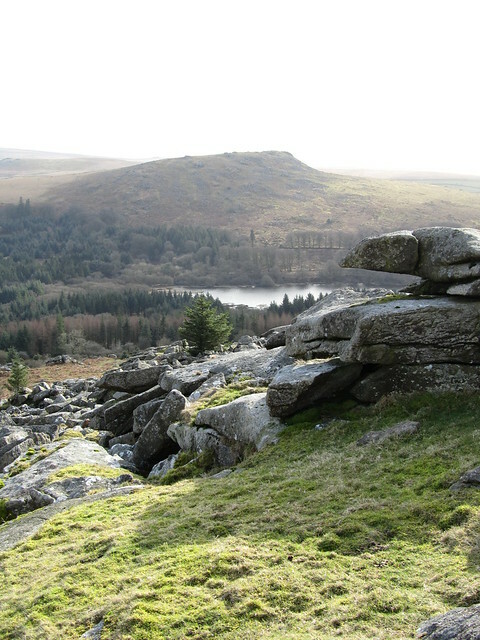 This is certainly one of the most dramatic of tors on Dartmoor, with an easy scramble to the top but some giddy drops to the River Meavy on its east side. I dropped further down to Lower Leather Tor. Some would argue, with some justification, that this is just an extension of the higher, much grander outcrop. 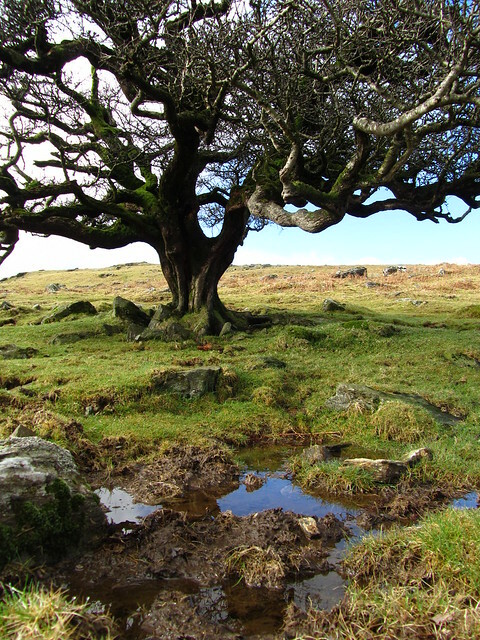 It is worthy of exploration, whatever your opinion, and the lower clitter has some beautiful moss and lichen covered boulders and oaks. 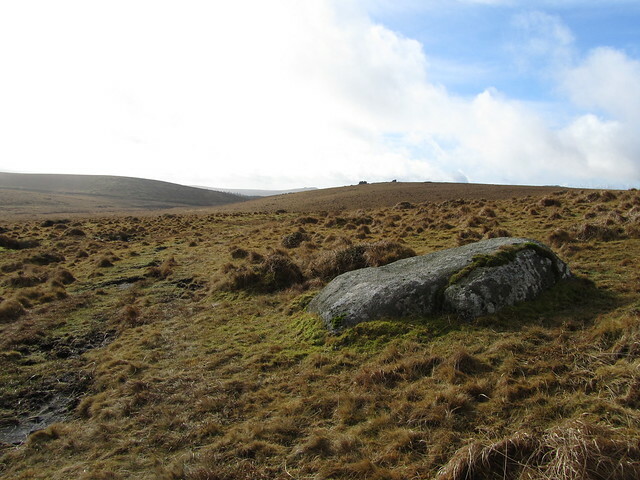 I dropped down to the road at Cross Gate and followed the forestry track in search of a Cairn and Cist situated close to the Devonport Leat. Next, I crossed the leat and walked its path through Stanlake Plantation. 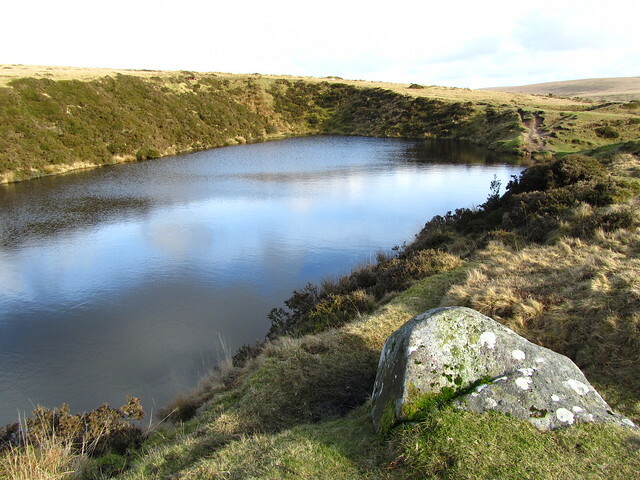 At the end of the path, where the open moor returns, I went right, over the Meavy and up beside the walled edge of Raddick Plantation to Crazywell Pool. Just to the east of Crazywell Pool, there lies Crazywell Cross. Restored in 1915, the original positioning is probably closer to the pool, as this is where its head was found. 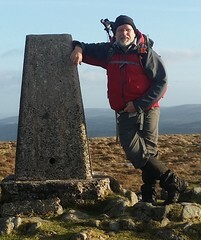 From the cross, I went north-east, up over the hill where a triangulation pillar sits at 445 metres, and on to the cycle track that would take me back to Princetown, via South Hessary Tor, before the sun began to set.